A quick and easy guide to smart homes and how you can quickly create your own — without taking out a second mortgage or needing a computer science degree. 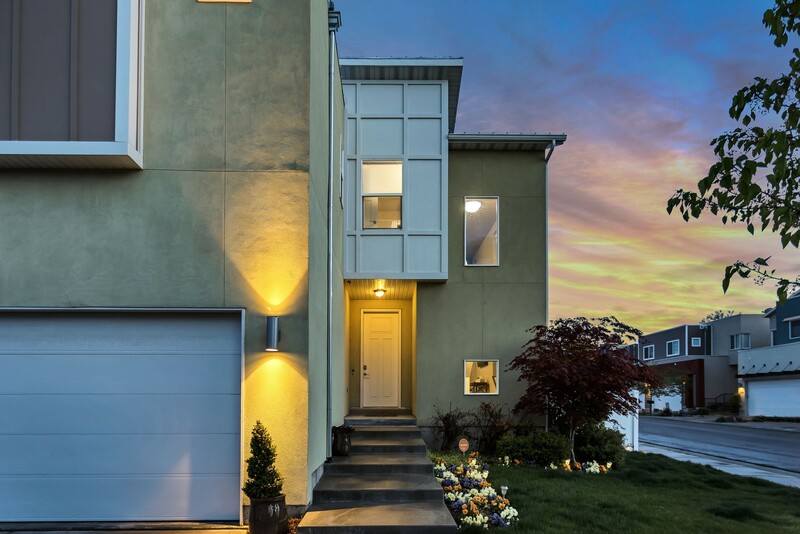 A smart home is basically any home that is equipped with one or multiple devices that can control or monitor things like heating, lighting, security or even food and that are remotely controlled by either a computer or a smartphone. These devices are usually connected to a central hub which is connected to your homes wifi. This allows you to control basically anything at home while at work or on your drive home. What makes these devices and your home smart though is that most of the control can be automated based on triggers you set e.g. “When I get home turn on the lights” or by environmental or time based triggers like “At 5am turn the heater and coffee machine on”. Sounds good right? I wont go into what you can do with a smart home as the posibilities are endless but basically any task you do on a daily basis can be completed with some kind of smart home accessory. This should come down to what your lifestyle and routine is. There’s no reason to buy a device if it’s not going to make your life easier or your home more efficient. That’s why I think it’s a good idea to sit down and write a list of what can be automated or connected that will make your home a smart home catered for you. These are things that would make the biggest difference to our home, this will be different for John next door of course — he might simply like the ability to control his jug for all those cups of teas he makes?! How do you control it all? You now have an idea of what kind of smart home you’d like, the next step is to decide on how you’re going to control it. There’s basically two options when it comes to controlling your smart home. You can purchase a dedicated hub which sits somewhere in your house and is always connected to the internet. This is the command centre for all your smart devices you purchase, they connect to this via bluetooth or other technology but can’t work without it. The benefit of option 1 is cost. Since your hub does all the complicated stuff it means your smart devices require less technology which normally means they are cheaper to purchase. The downside to a dedicated hub though is you become limited to what devices can connect to it. Some companies even go as far as only allowing their own specific product range to be connected. 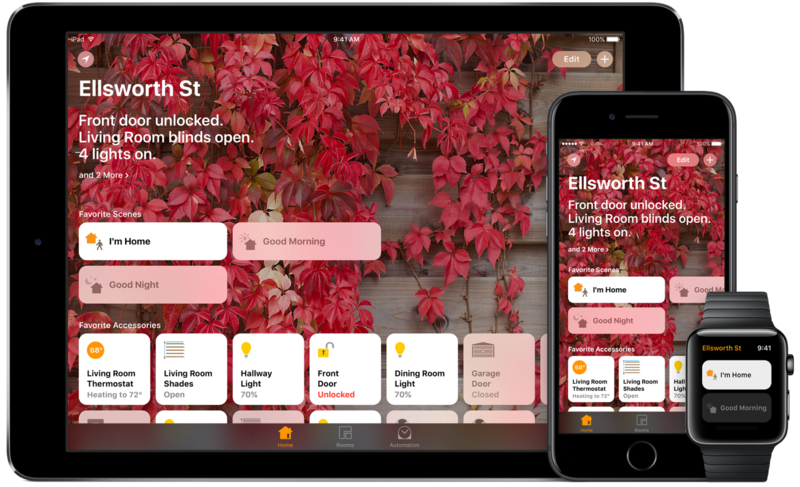 Apple, a few years ago now released a framework called HomeKit, it allows any manufacturer to build their devices using rules set by the framework. HomeKit is strict and requires all devices to have a MFi chip from Apple integrated for security reasons. The downside to HomeKit is cost. Since manufacturers need to integrate the MFi chip the devices are usually priced higher to offset cost. You also need an Apple device which is permanently on at home, connected to the internet. This can either be an Apple TV or an iPad — a rather large additional cost if you don’t own one of these. There are a lot of HomeKit benefits though. Simplicity is the biggest for me. No complicated hub to set up, it all just works (is that a slogan?). Security is another big benefit, you’d be surprised at how many cyber attacks have happened purely because of an insecure baby monitor. You also get Siri’s help when you use HomeKit which takes all of this to the next level. Personally I’ve chosen HomeKit because we already own Apple devices, the simple setup and having the ability to ask Siri to turn on my heater is just straight up cool. If your on a budget though, something like Samsung SmartThings is a great alternative with awesome features and a fast growing accessory list. Where do you buy all these devices? Basically anywhere. Although if you purchase a hub like SmartThings you’ll likely be able to get a great deal for accessories directly from their store. If not, then no stress, smart homes are becoming quite the norm so it’s much easier to find devices at your local electrical/home store. If you’re going down the HomeKit path then Apple sells a bunch of certified accessories on their store and have a handy curated list that links off to other stores. An important thing to remember is not all devices can talk to each other so becareful when buying items from different brands, you don’t want to spend $100+ and find out it’s incompatible. Most accessories will clearly display what major hubs they can integrate with and HomeKit certified devices will have the HomeKit logo on their packaging for peace of mind. Hopefully you now have a understanding or what a smart home is or can be. You can now go kit out your house, invite your friends around and blow their minds by boiling the jug from the lounge. Get creative! August Smart Lock — lock/unlock remotely, keep track of who comes and goes. No additional hardware required. Philips Hue Lights — control your lighting, set the mood, change colours. Use triggers to do all sorts. E.g. “when i get home turn the lights blue”. Nest Cam IQ — this security camera is insanely smart. It can recognise people in your house and even see in the dark. Elgato Even Energy Plugs — monitor power usage, control appliances that aren’t smart buy pluging them into these. A quick and easy way to add control to your home. Honeywell Lyric Thermostat — Cold? Too hot? Honeywell’s thermostat can help you out, it learns your habits keeping your home at the perfect temperature. Check back soon for more posts about smart homes and accessory reviews. I’ll be reviewing a few accessories soon and hope to have a full review of Apples very own smart home accessory — the HomePod! Editor of MEDIABEAST. Write about #tech. Dream of being in #space. Love to #run. Senior Web developer.